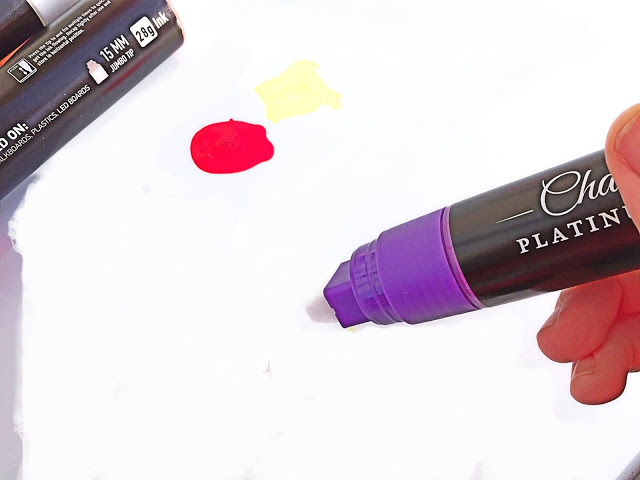 First, I tried out the markers myself (of course!). 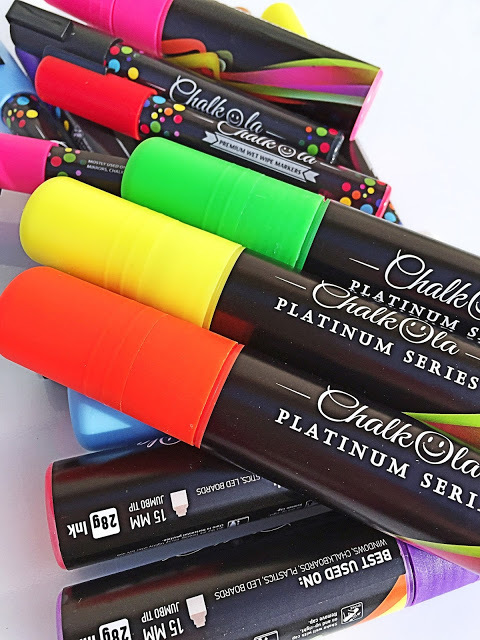 I received two different sets – premium (normal-sized) and platinum (huge, mumbo-jumbo markers that are great for writing large messages). To first get the ink flowing, it’s a little bit of a workout. You need to pump the tip up and down for about 30 seconds. 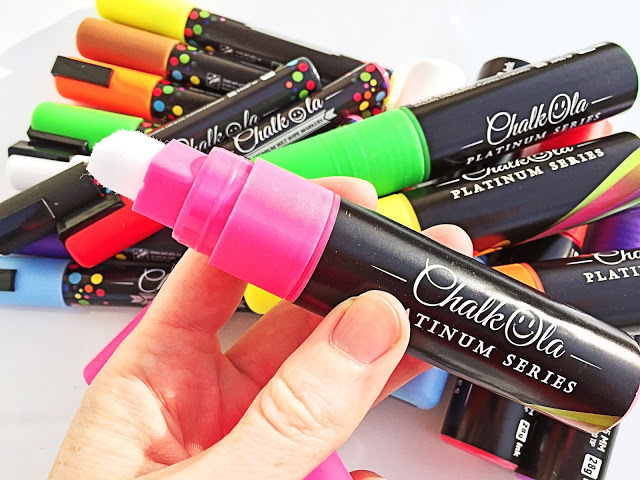 You will see the ink slowly flow down the tip. 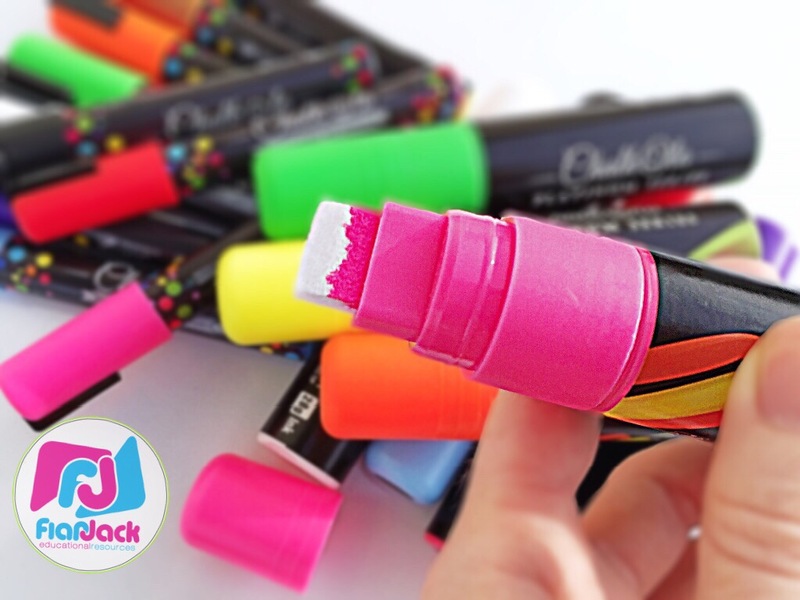 Once the tip is completely covered, you’re good to go! You also need to shake it a bit like an aerosol can. 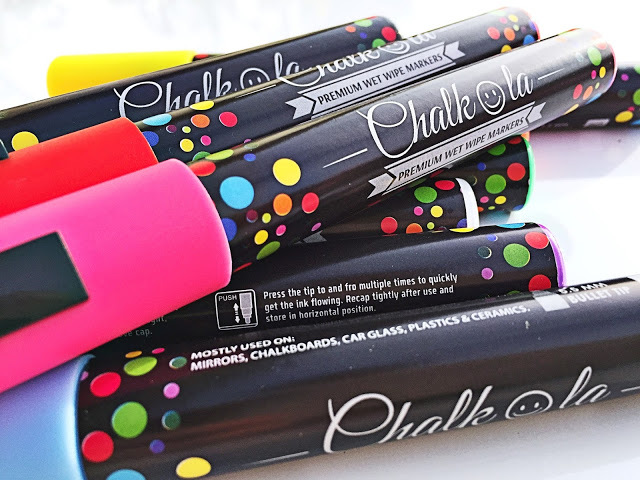 These chalk markers are great for any non-porous surface. 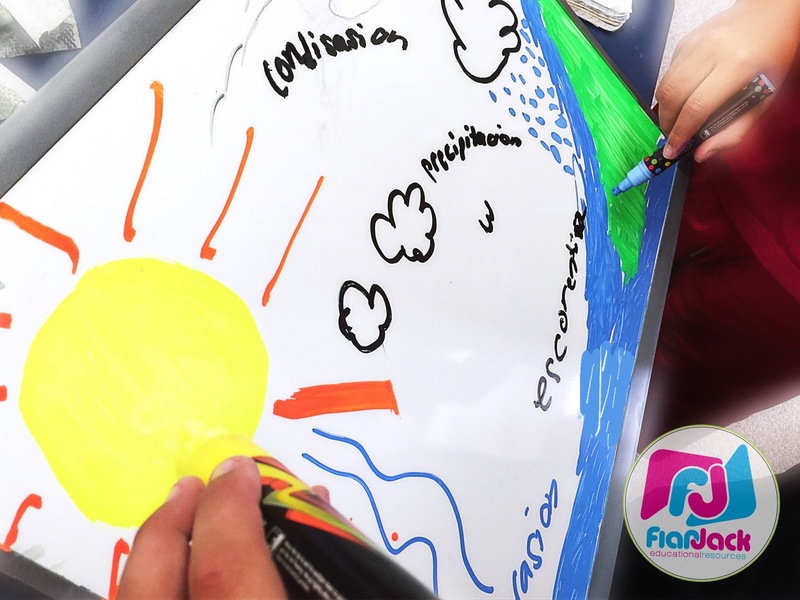 We used dry-erase boards. 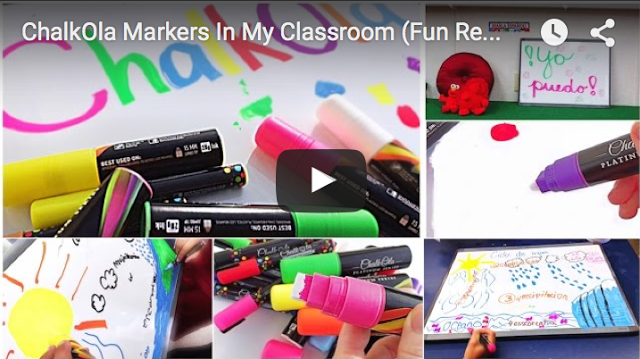 Once I had my fun with the markers, I set them up as a rotation during some science group rotations. 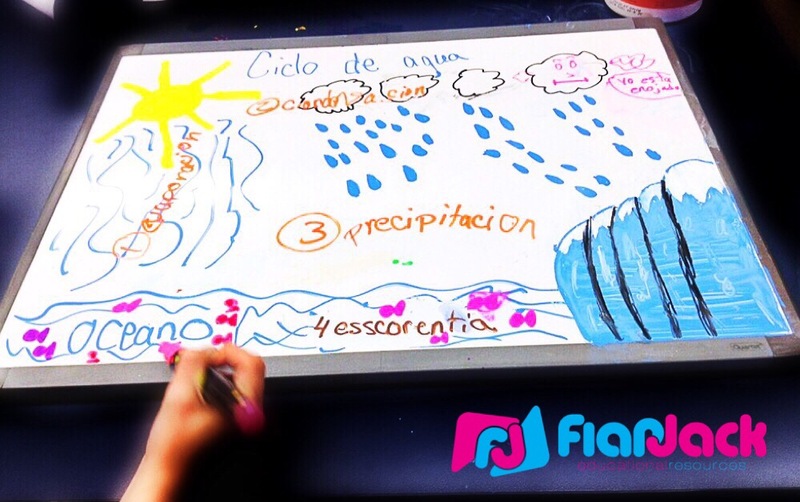 When students arrived at the ChalkOla station, they worked together in groups of 2 or 3 to illustrate the water cycle. Clean up was a little bit messy because you need to clean the surface with something wet. A dry rag is not enough. But for my 4th graders they handled it fine. I think any grade level above 2nd-3rd could handle the clean up fine. I would not suggest an activity like the one we did that involves a LOT of coloring because the markers will dry out fairly soon (they’re still doing okay after 6 rotations). 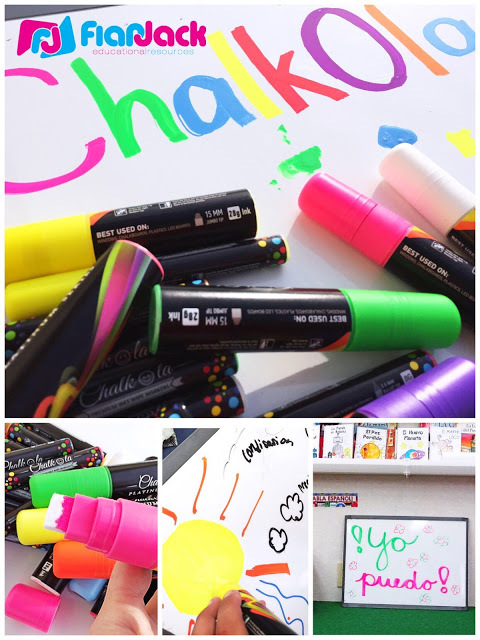 I plan to use the markers now with a student-created message board. 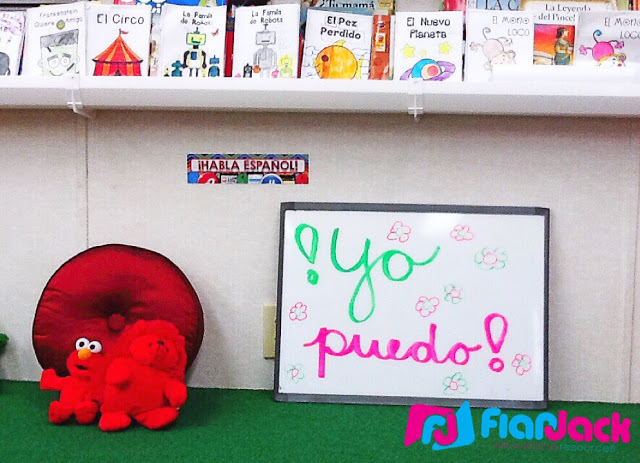 Students will take turns illustrating a Spanish phrase we need to work on saying and spelling correctly. And if they can do it in cursive – even better! This would also be a great idea for a math problem of the day, too. We might have to alternate between Spanish and math skills. 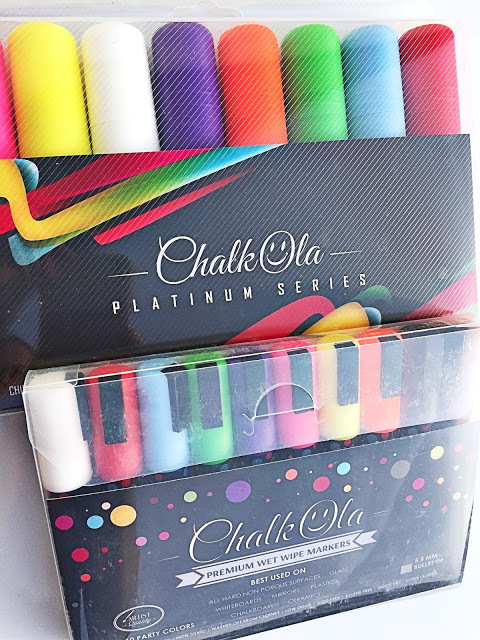 If you’d like your own set of ChalkOla markers, they gave me a discount code for you guys! 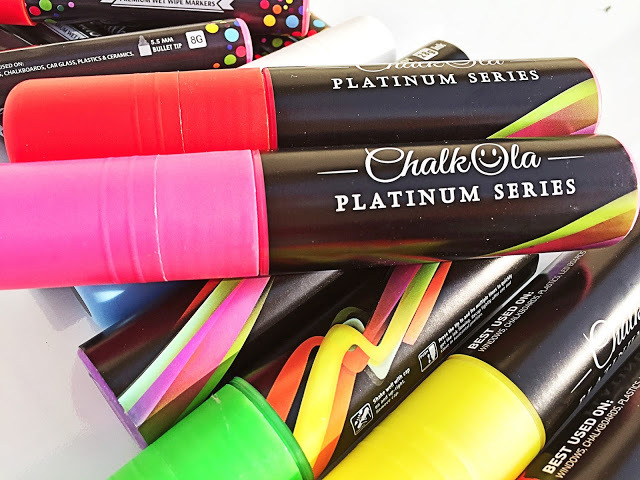 It’s CHALK20A. 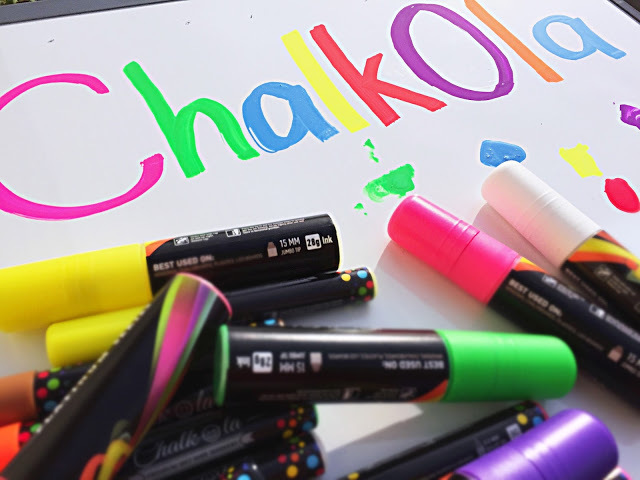 For US teachers, shop here, and UK teachers, shop here. 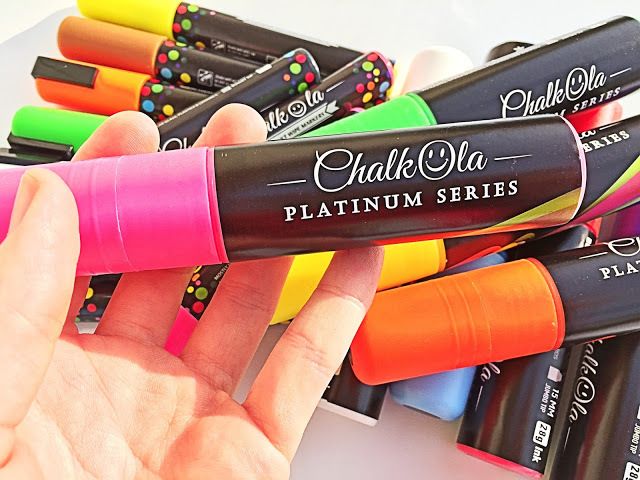 What would you use these markers for in your classroom?? ?